This week will be bustling for you competitors during the USCC Qualifying Event. We hope to make the most of your precious time and your painfully dwindling travel budget by eliminating the worry of where to snag an affordable but delicious meal. 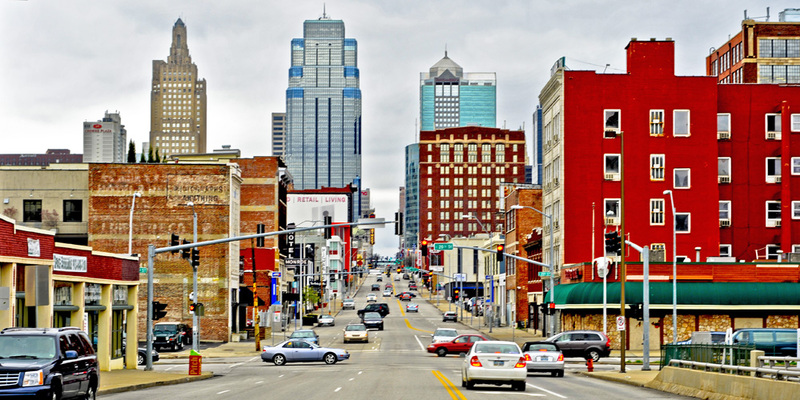 While there are several amazing lists in which KC natives map out some of the more thrilling KC destinations (and you should refer to those if you have time), this particular post should serve as a resource of strictly walkable locations downtown with genuinely affordable menus. Each recommendation is located in the downtown neighborhoods within a 1 mile radius of the conference center, and you’ll also find a short list featuring the neighborhoods where the main coffee community events are being hosted. 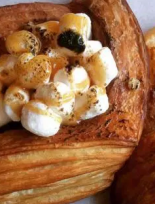 As a former downtown resident and strict budgeter, I’ve eaten on the cheap at most of these locations and I am confident that you coffee professionals with highly developed palates will appreciate the restaurants and bars on this list. There are spots listed here for breakfast and lunch. Those in-between hunger pains so perfectly addressed by happy hours and late night bar specials make dinner a little irrelevant. 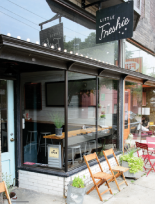 Sasha’s Baking Co. serves French style scratch made breakfast and lunch, with pastries as well as kitchen prepared meals. I dare you to find better bacon than their perfectly crispy maple glazed strips. 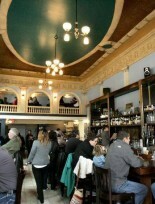 They serve Kaldi’s coffee and have a full alcohol bar serving every AM necessity, the Bloody Mary. 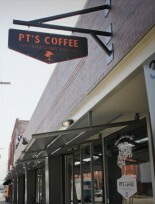 PT’s Coffee is sure to satisfy your lust for a beautiful coffee experience. Try a truffle oil biscuit sandwich, or a bagel on the cheap. They also offer tasty pastries from Scratch Bakery if you have a sweet tooth. This isn’t a major breakfast option, but filling and worth the dough. A full order of biscuits and gravy, enough to share (but we don’t judge) for a mere $5.50. 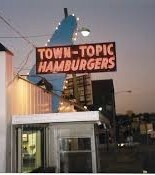 Oh, rumor has it they serve the best pie KC has to offer. 24 hours a day. While the breakfast menu touts plenty of options, I recommend you only try the classics, like the French Toast or Pancake combo. It’s not my favorite menu to explore, but it is worth a try if you are already nearby. The fresh squeezed juices look pretty tasty as well if you are looking for a light refresher. 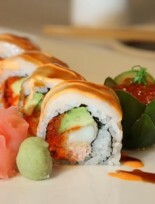 Lulu’s lunch menu is a favorite in KC, with flavorful modern Asian cuisine. Served with a crab rangoon and plenty of food to satisfy, $7.99 is all you pay for any lunch dish on the select menu. My go-to is the Pad Se Eu, or the Yellow Curry when I need comfort food. This isn’t at all traditional Thai food, but it’s delicious. The lunch menu isn’t very extensive, but all choices are served with rice and beans for just $8.99. 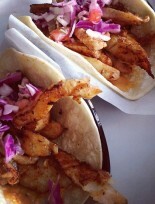 If you deviate from the lunch menu, I do love the fresh tasting fish tacos, even at a pricier $12. Being a Southwest native, Los Tules doesn’t deeply scratch my itch for Mexican, or even Tex Mex, but my husband is nuts about it. The Turkey & Raspberry sandwich, stuffed with microgreens on a hearty potato bun is a go-to. While not the cheapest lunch, it’s truly filling. You would be letting yourself down if you didn’t order a Spicy Ginger Fizz, my favorite winter drink. It’s a tiny space, so take this meal on the road. 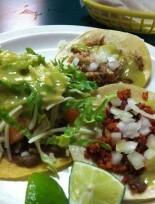 Does it get any better than authentic Mexican street tacos for $1? Carne asada, al pastor, carnitas, chorizo…YES. Obviously you won’t be the only ones capitalizing on this freaking steal if you pop in on a Tuesday for lunch or dinner, but it’s tasty and won’t take you too long to get through the line. This is my personal favorite HH in KC, mainly because this steakhouse and jazz club are just so dang fancy once HH ends. 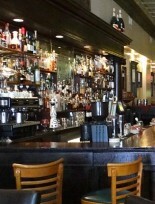 The bar serves $5 well martinis made by old school bartenders, and cheaper Boulevard drafts. The food menu is the golden ticket, my favorites being the filet mignon sliders and fries, a plate of mussels as big as your head, or delectable crab cakes. 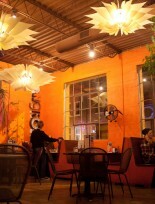 La Bodega is a colorful and rich tapas bar on Southwest Blvd. While not the cheapest HH offerings, you’ll definitely get your money’s worth with many tapas for half price and $5 app plates. 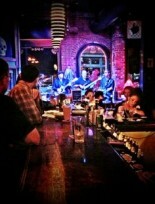 Thursdays feature $5 mojitos, but the best part are the half priced pitchers of sangria on Fridays. Yeah, pitchers. This HH menu is a great introduction to their full menu, featuring a handful of simple hand rolled sushi options starting at $3. Many appetizers are specially priced between $3-5, my favorite being the seaweed salad and the fish tacos. On the boozy side, there are some wild $5 martinis as well as bottles of sake for $7. Anton’s is another special HH, as the regular menu is a bit fancier and usually by reservation. 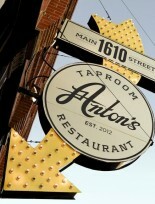 Anton’s is known for it’s exquisite meats, offering only the highest quality selections and in-house aging. I’d start on the HH menu with a Caesar salad, mainly so I’d feel less guilty inhaling a plate of bone marrow with sausage accoutrements. 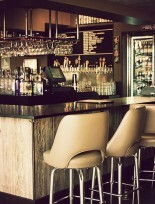 During HH, there are only a few drink specials, like $3 Tallgrass drafts. My favorite is the $3 Missouri Mule, featuring whiskey and house made ginger beer. My favorite thing about this restaurant is the gigantic, and I really mean huge, slice of pizza where you can choose any 5 toppings (from a list of legit toppings like artichoke hearts and sundried tomatoes) for just $5.99. That price is an all-day feature, and this is my favorite slice in the city. 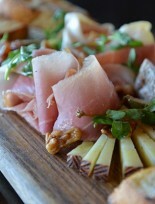 Their sandwiches with house cured meats are to die for, but pricey. 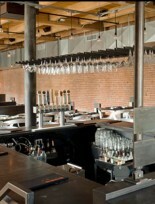 Another jazz club in the downtown area, The Phoenix has a more modern aesthetic and menu. $5 local taps are a bit on the pricey side for craft beer specials, but there are a few special cocktails that sound delicious. Try their hummus and pita plate, or the eggplant parm starter. 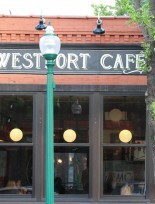 Not only does Westport Cafe and Bar do my favorite brunch in the city, their HH is lovely as well. While there arent any large portions, their entire HH menu is $6, and half price appetizers. My favorite offering is the cheese plate featuring 5 cheeses and accompaniments, or the mussels in a coconut curry broth. For a delicious drink, try KC’s own Boulevard Smokestack Seasonal selection, or the classic Tank 7 Farmhouse, for just $6 each. This sushi restaurant is pretty pleasant every time I stop in. 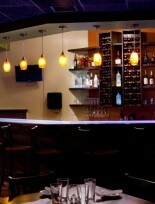 The food is consistent and fast, and the menu is reasonably priced for its swanky atmosphere and downtown P&L location. HH features discounted martinis and sake, all under $6, but if you’re on your way to the Welcome Party, you may not be in the business for more cocktails. The sushi is where it’s at, with basic rolls for $5, and their actually tasty specialty rolls for $10. Il Lazzarone makes beautiful Neopolitan style pizza in their brick ovens. 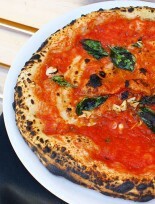 If you are in the mood for a simple yet sigh inducing pizza, try their $6 marinara and margherita pizzas. One pizza will comfortably feed one person, but if you are a light eater it can be shared. If you are feeling wild and want to order off of the full priced menu, I recommend the Patata. During HH, all drinks are discounted 20%, which is crazy because their talented bartenders take their cocktails very seriously. Sweet Siam is my favorite Thai place in the entire KC metro area. It’s a far drive from the action of KC, but since you’ll be down south for the Educational Happy Hour in Lenexa as it is, you might as well just drive down early enough to catch this amazing and comically generous lunch menu, just minutes away from the event. I can’t get enough of the Spicy Eggplant Noodle Bowl, which serves and entire roasted eggplant atop a bed of firm noodles in a tangy and spicy green curry broth. Each lunch special is served with either a small salad or a bowl of Tom Kha coconut soup with perfectly cooked tofu. Go with the soup. The Foundry has a rad vibe and plenty of space for big groups of tipsy baristas to celebrate the hard work that goes into competition. You survived! So grab a house brewed McCoy’s beer for $1 off (try the Good Farmhouse), and scarf down the delicious 1/2 priced “Bar Bites”. My favorite on that list is the pot tots, which is literally pot roast smothered on tater tots, or the beer pretzels with caraway salt and a cheddar fondue. Some of the other items can be salty as all get out, but for a couple bucks, they’re great to share. Are there any Kansas City cheap eats (or cheap drinks, let’s be honest) that you’d recommend for foodies on a budget? Give Pirates Bone coffee a try. 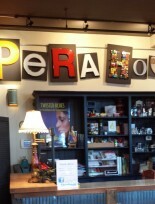 It’s fantastic coffee, quaint and wonderful service. It’s located in Brookside/west plaza area.